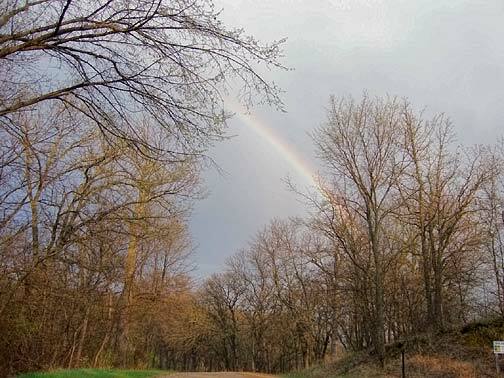 Rainbow over budding oak trees along driveway. Many apologies for the delay in sending this update! We wanted to say hi and share what's new in our life with everyone. Life has been going at a steady pace, like normal. We are both really enjoying our jobs; hard to believe it's been a year since graduation! Dan and I are looking forward to an exciting change in our life. We're expecting a baby girl this September. The 14th is our due date. They tell us life will never be the same. I believe it! So we're going to enjoy one last summer of peace and quiet! We'll keep you updated. Reprinted from The Ashby Post. 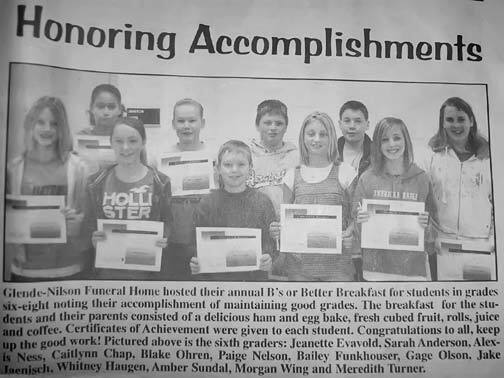 Caity's picture was in The Ashby Post, under the heading "Honoring Accomplishments." It was for students in 6-8th grades, noting their accomplishments of maintaining good grades. It's called "B's or Better Breakfast." The breakfast for the students and their parents was a delicious ham and egg bake, fresh cubed fruit, rolls, juice and coffee. Becky and I went in today to watch the D.A.R.E program put on at the school. Two of our local law enforcement officers have been working with them for six weeks, teaching them the dangers of drugs, alchohol and tobacco. The 6th grade class did four skits and several of the children read their essays about what they'd gotten from doing the program. The skits showed ways they would deal with peer pressure in the future. Our county sheriff, Dwight Walvatne, and our town police officer, Thor Tollefson, worked with the children. The D.A.R.E. program allows the children to "humanize" the officers, see them in a helping role and opens lines of communication between them. The kids had really enjoyed going to the Minnesota Twins game, as part of their D.A.R.E work reward. At the end of the program, each was presented with a certificate showing they'd been in the program. 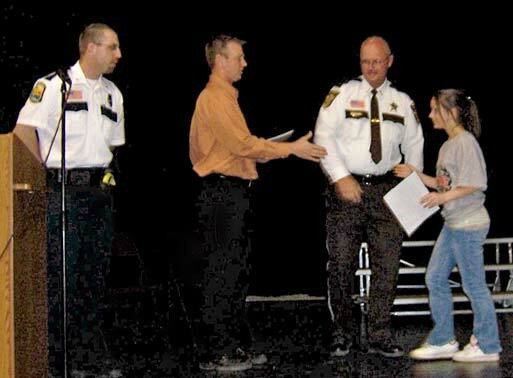 Caity gets her D.A.R.E certificate and congratulations from, left to right: Ashby's town police officer, Thor Toleffson, her teacher, Ryan Risbrudt, and sheriff Dwight Walvatne. Caity with her class, teacher and D.A.R.E. officers. 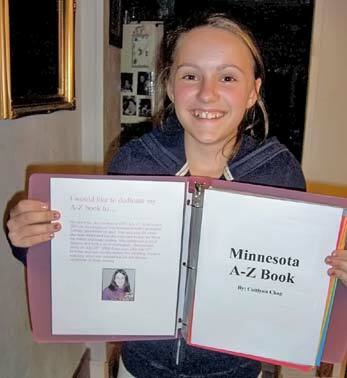 Caity with her finished A-Z Minnesota book, a school project. She dedicated her book to her "Aunt Coni" Waltzing. Click here to see a gallery of photos from Ginny's walk. Mother's Day roses from Becky. Weston, Becky, Caity, Jayce, Lori, Shawn and McKenna joined Shirley and Larry (Shawn's folks), Tammy and Chas (his sister and niece) and Beaver and me to help celebrate Mother's Day with the mothers involved: Becky, Lori, Shirley and myself. We had a fabulous meal at the Holiday Inn in Alexandria. Yum, sums it up! We were all entertained by McKenna; she loved batting the balloons that were centerpieces! At first she used just one hand and then one in each hand, furiously pumping her hands up and down, hitting herself in the head with them, until her hair stood on end. It was pretty hilarious to watch. I also enjoyed my gifts. There were roses and aloe socks from Becky, a beautiful photo album filled with her pictures from McKenna; a phone call from Wyatt, with a promise to get my computer up and running (a combination Mother's Day and birthday gift from all) and a phone call from Chris with a promise of a meal out! Not to brag, but I do have wonderful children and grandchildren! A big thanks to my dad, Don, for being in the right place, at the right time, for me! I stopped at a garage sale, got a few little items and then decided to go to one more before leaving town. (I was in town to take Becky to a chiropractor appointment and was filling in my waiting time by taking in some garage sales.) When I drove up to the next one, I noticed my father's vehicle on the opposite side of the street, down from the garage sales. When I crossed the street, I noticed he was at the sale next door to the one I was heading for. Which turned out to be fortunate for me, being I also noticed four good stools that were in far better condition than the two we had left at home. I called Beaver to see what he thought and he told me to get them. 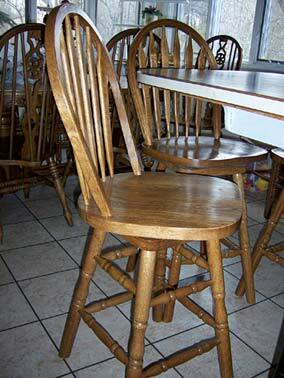 Two of the four stools from the garage sale. Finally! I got to Home Depot and spent the gift certificate that was part of my Christmas present from the "kids"! I chose three light fixtures and had enough left over to buy two bags of M&M's with peanuts! 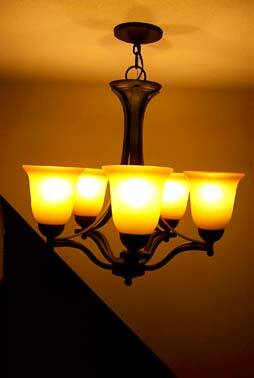 They are three matching: one for above stairs, one for side wall along stairs and one for the front entryway. Of course, Midnight had to try out the top of the old fixture that was taken down. He seems to want to sleep on ANY new surface he finds in the house. Now, can that possibly be comfortable? Ed Evenson, bless his heart, came over and hung them up. He came over the very day I asked, but then I knew enough to wait and ask on a rainy day, or he'd have not had time, being a farmer, besides electrician. Thanks again, Ed! 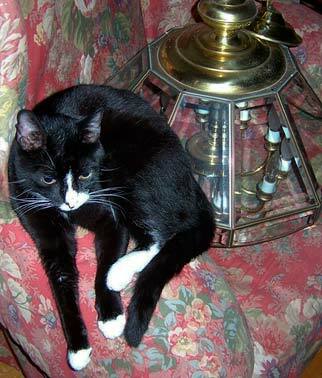 New light fixtures, left; Midnight claims his spot on old fixture, right. Dave Kelly, a Bloomington resident and baseball fan, formerly from Darwin, Minnesota, wrote an article which appeared in the Enterprise Dispatch on May 7, 2007. That article was mainly about Lefty Miller, "the best player ever to hail from Meeker County ... who opted for a career in medicine rather than baseball." Gert and I were interested in it because we remember hearing about the Miller team. No, not the Minneapolis Millers that some of you may have heard or read about (who played before the time of the Twins), but The Millers from the Darwin community. The Miller team we had heard about was the one that Jim Miller and his siblings had told us about when we were kids. I have hoped to have more human interest about that team from the three remaining members of the family. So far, a phone interview with Jim is my main source of information. Jim tells me that his Grandpa Miller was very fond of the new game -- baseball -- in the late 1800's. His grandfather, John W. Miller, was the father of 10 sons. He coached nine of those sons in his game. They became very successful players. It seems they played any town team of that area ... many from towns far larger than their town -- Darwin. They won many more games than they lost ... and they drew a large number of fans. Jim told me that his dad had told them about his brother Fred who was a pitcher and who played varsity baseball for St. Thomas College in St. Paul. He said his dad, Billy Miller, was also a pitcher. Jim went on to tell me that his grandpa had an excellent arm, too. A story was told of him taking a dare to throw the ball across the highway and into the open door of the museum across the street --and of him making a perfect throw on the first try. Jim thought he remembered that his dad, Billy Miller, had gone to St. Thomas college, too, on an athletic scholarship ... but it seemed to him that his dad only stayed there for a year and did not finish college, as Fred had. We are hoping that some members of the Miller family may have information to add to this report. The late Fred "lefty" Miller was inducted into the University of St. Thomas Athletic Hall of Fame, Saturday. Miller, a native of Darwin, was a pitcher on the Tommies baseball team from 1906 to 1908. During Miller's final two seasons St. Thomas was 20-3, while Miller went 13-2 over his three seasons. In his career, Miller struck 19 batters in 131 innings, allowing just 49 hits and 31 walks. (Send us some to run; we will line them up in our staging area to take their turn. 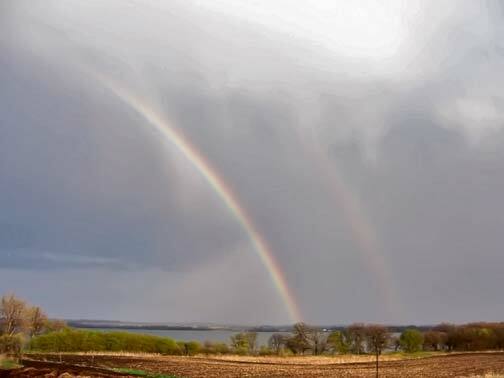 Shari Miller Larson supplied last week's mystery picture. 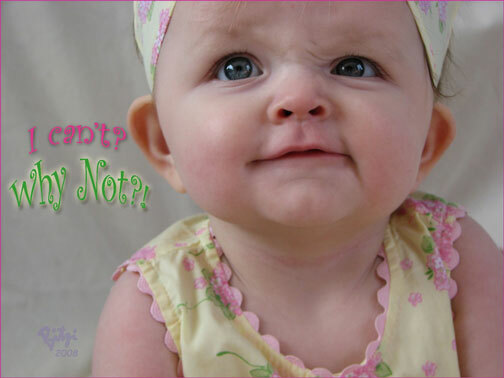 Editors' Note: Correct guesses appear in bold face type and incorrect guesses in normal type ... generally in the order we receive them, so the first guess received is on top. That appears to be my sweet Aunt Blanche [Dake Miller] and I'd guess she's feeding Kurtis [Larson]. No guess here -- rather a "know." That's Grandma (Blanche Miller) and my cousin (Kurtis Larson). We are really enjoying The Bulletin. I'm guessing the mystery photo is of Blanche Miller and Duane. The GUESS/MYSTERY picture makes me think of Blanche Miller, but who knows? 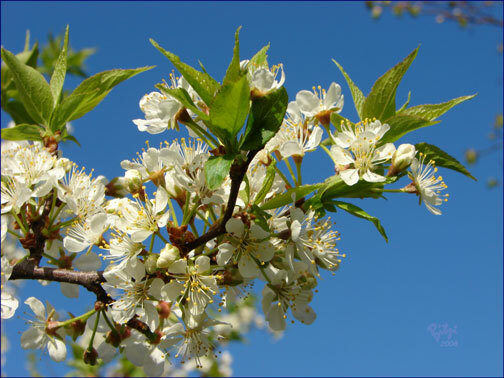 Kira Steinhauer finds spring filled with possibilities. Mailboxes, who knew they were such a source of frustration and neighborly cooperation? My mailbox was knocked down by the snowplow the first winter we were in our house. I have a hard time blaming the snowplow, though, as I had hastily shoved a cheap aluminum rod into the dirt to hold up the mailbox while houses were still being built across the street. But now it's mounted atop a 4 by 4 wood post and stands solidly. However, my story is about my neighbor's mailbox. At the west end of our block, there are a few sets of townhomes. In one of them lives an elderly woman known as "Crazy Pomeranian Lady" -- or at least that's how she was known to us before the mailbox story. A few years of visits during trick-or-treating had earned her that moniker, as she greeted the girls with a syrupy German accent, holding her little red Pomeranian dog, handing out oddities like energy bars. "Crazy Pomeranian Lady" also worships at the same church that we do. One day at church, we saw each other and said "Hello." We had occasionally exchanged pleasantries before, possibly even names, but this time Maria (I sheepishly asked her name, then didn't feel so bad when she asked mine, too) began talking about her daughter, who was in a nursing home due to a recent stroke. Eventually, the conversation moved on to her mailbox, which was on an aluminum post, much like my first one, and was suffering a similar fate. Maria was wondering who we'd hired to put in our mailbox, since she'd seen that we had more permanent wood posts. I told her that I'd done it myself, and that I'd be happy to do hers for her. She said that would be wonderful, but didn't want me to have to deal with the "clowns" in the association. The owners of the townhomes that she lives in are supposed to collect their mail from some sturdy, permanent metal lock-boxes at the corner, a couple houses down from Maria's. She told me their location made it nearly impossible for her to maneuver her car closely enough to collect her mail, and she just wasn't sure-footed enough to walk that far on the ice all winter. The head clown that she was worried about was the same one who had given me flak as I erected the girls' play set in our backyard a few years ago, because he wasn't sure it met neighborhood covenants. (It did.) While this fact caused a little pit in my stomach, an opportunity to help Maria out still pushed me to insist. I went to talk to the "clown," somewhat pumping myself up to push back a little if I had to. Luckily, the conversation went down without incident, and I gained a little respect for Adrian (not the clown anymore) as he agreed with me that it was only fair to Maria to let her to continue to have her own mailbox if it made life easier for her. I went out and got the post, base, and one of the nice plastic mailboxes that slide over a 4 by 4 post, and set out to put it all together. While I was putting it in, one of the other townhome owners came out to ask what I was doing, and proceed to accuse Maria of just being a lazy person. I told the new clown that we had Adrian's approval, and it shouldn't be a problem. That calmed him down and I was able to finish the job. I came out of the project with a new friendship with Maria, a new appreciation for Adrian, and a new clown in the neighborhood. At first, I didn't hear a thing. Then it came -- crystal clear, like a bell -- a cry in the wilderness. Sarah checked my face to see if I heard it, too. Indeed, I had. We stood perfectly still and continued to listen -- nothing. Untying the horse, we walked in the general direction of the cry, until we were near the edge of the clearing in the sagebrush and cedar trees that was The Skylight. Again, we stopped to listen. Away from the soft background noises of the sheep camp, when the cry came, we were able to distinguish that what we heard was the bleating of a sheep. "Tell Mom I'll be back in a bit," I said. Sarah headed to the sheep camp with the message and I swung into the saddle and rode in the direction of the cry. I had already picked up a couple of lame ewes that Esteban had left behind. Apparently, he had either lost some ewes, or intentionally dropped them from his flock, because they couldn't keep up. Foot rot was responsible for the lameness. But the more days the sheep were on clean, dry ground, away from the muddy lambing pens, the more their feet dried up, hardened, and became less painful. In the perfect calm of the evening, a sheep's bleat travels great distances; I rode a long way before I honed in on her; she was lying in the sagebrush, too weak to walk. I thought she would be too heavy to carry -- but I couldn't leave her overnight, either! If I did, she would likely perish; her twin lambs probably already had. They would have been easy prey for the coyotes. I tried to lift her onto my horse, but the horse would have none of it; she shied away with every attempt I made. Finally, I hoisted the ewe onto my own shoulders and wrapped her around my neck like a shawl. It seemed I was able to draw strength from her -- because she was alive. Leading the horse by the reins, I carried the ewe back to the Skylight. I fed her some of the horse's hay and gave her water to drink. By morning light, she had regained enough strength to make her way over to the night corral; she stood outside the gate, waiting to join my flock. 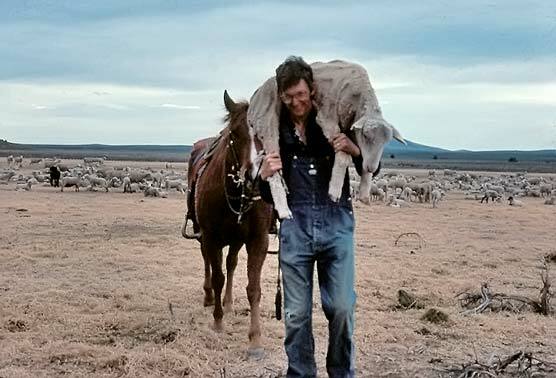 Larry, carrying lame ewe, leading Jackson's mother's horse. Transplanted London Bridge, Lake Havasu City, Arizona. My great grandmother, Eleanor Woodard, was born in England, came to the U.S.A. as a child, pushed a handcart across the great plains when she was nine years old, and lived in Utah the rest of her life. She died before I was born. Before they married, her parents, Jabez Woodard and Ann Granger, courted on London Bridge while it spanned the Thames River ... in London. My mother said it was on London Bridge that Jabez asked Ann to be his wife -- and to move to America with him. I had hoped that someday I might travel to England to visit the exact spot where this chapter of my family's history began. But it was not to be. As a child, not long after World War II, I sang "London Bridge is falling down, falling down ..." a popular children's song sung in school in that era. London Bridge, a bit worse for wear after suffering damage in London's air raids, was in need of replacement -- not just falling down, but lacking the structural capacity to meet London's postwar transportation needs. Then, about 40 years ago, Robert McCulloch, the founder of Lake Havasu City, decided historic London Bridge would be just the ticket to attract attention to his new community on the Colorado River. So he bought the bridge, or a portion of it, and had it transported to Arizona and re-assembled there. The whole concept of bringing a historic bridge from England to America, assembling it over dry land and cutting a canal to divert enough river water to make it look like it was bridging a real river seemed just a little hokey ... along with the "English village" on the riverbank and the tour boats running around the peninsula that had recently become an island. But what can you do? My English roots were moved to Arizona while I was living there, but I had never been to Lake Havasu City to see London Bridge. I finally did see it when I drove through there in 1989 alone but I didn't figure out a way to park my van filled with photo gear in a safe place and explore the bridge, as I wanted to do. In February of this year, when I visited my friend Sharon by the Salton Sea, we made a pilgrimage to Lake Havasu City. Now I can say that I have finally visited my "English" roots -- and I have "tourist" pictures to prove it. 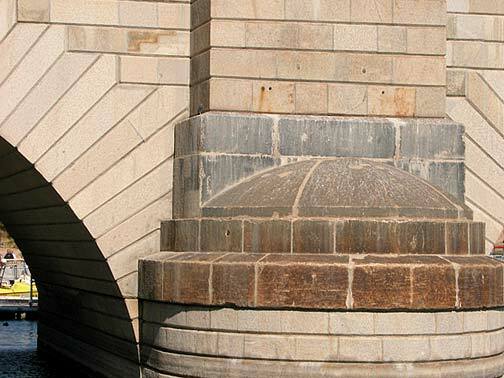 Detail, London Bridge support with bullet holes from World War II. 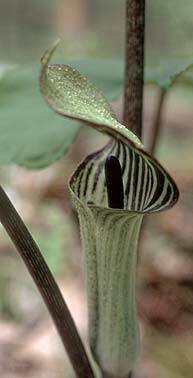 Jack-in-the-pulpit, left; Kyra-in-the-pulpit eats breakfast in bed, right. I didn't have to cook on Mother's Day ... well, not after breakfast, anyway. A few years before, Mic had befriended Lloyd Sumner, who traveled around the world by bicycle. To keep track of Lloyd, Mic had corresponded with his sister, Mary Cox, who lived near the Appalachian Trail in Virginia. She offered to bring a picnic lunch and her family and meet us at Big Walker Lookout. We knocked off the eight miles between breakfast and lunch and arrived 10 minutes early. "Mary's idea of lunch filled a whole picnic table," Mic wrote. "She brought fried chicken, baked beans, fried apples, potato salad, biscuits, and an accompanying list of ingredients that filled four lines in my log." We gratefully accepted southern hospitality beyond our imagining. After lunch, we packed up eight days worth of food from a supply box we'd mailed ahead to the Coxes, said our goodbyes to these new friends and hiked four more miles. It was a lovely Mother's Day. "Four miles on we awoke to clear sky, soft grass, and a view of distant mountains. Kyra thought the setting far too peaceful even to consider getting up. She ordered breakfast in bed. I wanted to take down the tent. I dragged her out, tossed her over my shoulder, and carried her bed to breakfast. 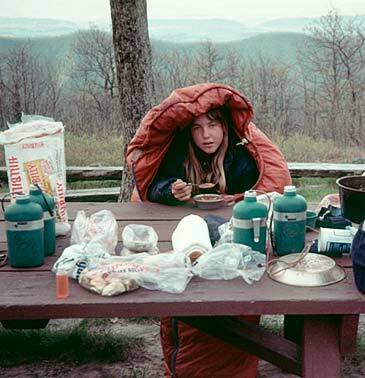 "'Good morning, Kyra-in-the-pulpit,' said Jerri, noting the sleeping bag hood flopped over Kyra's head. "'G'morning,' Kyra said, giggling." --from Walking North, by Mic Lowther. 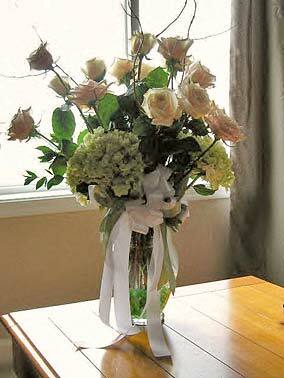 Wedding anniversary flowers for Jessy from Chris. Thank you for the card you sent to the both of us on our anniversary. We had planned on going out to eat at the Cork N Cleaver, which is the restaurant that we went out to eat at before I proposed to Jessy. Since it was a Monday, and we had both had quite the day at work, we decided that ordering in Chinese would be a better decision for the both of us. We decided that we weren't going to get each other presents, because we just purchased a new bed, but I decided that I should at least get Jessy flowers. I ended up calling our florist from the wedding and she put together an arrangement of flowers that were the same kind of flowers that Jessy's flower bouquet were made of. Jessy also didn't hold up the deal on her end with no presents, as she gave me a new golf shirt as well as some golf balls. Once again, thanks for the greeting card. When I read the tribute to my mom in The Bulletin I couldn't hold back the tears -- what a beautiful memorial! She will be dearly missed but the thoughtfulness of others has meant more than words can say. We're so thankful for memories that can live on. Thanks to all for extending your kindness. Just wanted to send a note, to say, once again how much I enjoy each contributor's piece in The Bulletin! Thanks to everyone who shares with us! 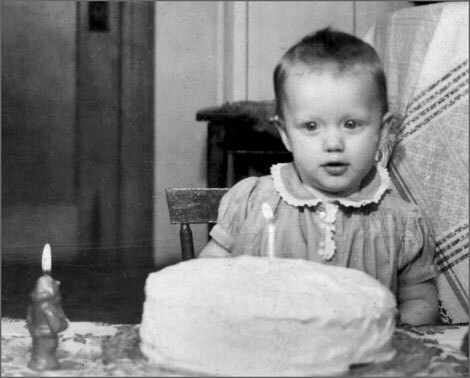 The picture of my aunts, Gert and Lois, touched me, it's so sweet! Loved seeing my Texas relatives and it was a big surprise to me, reading about Gert's trip! How fun! Larry's story made me so sad for that family and the horror for that poor man on his return. Larry painted the picture so clearly of what their short lives might have been like, made it even more moving to hear how their lives ended. When Beaver had me take the picture of the post, he told me there was a story, but I had to wait to hear it. So it was fun to read what he'd written about and why he wanted the picture. I must say, it gave me a laugh! I treasure Betty's recap of the previous Bulletin; it helps me enjoy it all over again. Thanks for your efforts, Betty! And, Ginny, for all you do with the pictures, I agree with Betty -- I enjoy your writing about things, too. And, I can't imagine doing that long trek! Wow, is all I can say. Took true perseverance! And, of course, to my mother ... thanks for all you do; this has blossomed in ways that are hard to imagine (like Jim's friend being able to find him again!). Photo Editor's Note: Oops! I've adjusted the "post" photo credit in the archives. I thought some would be interested to know that Katie Pettit (Don's granddaughter) made her 1,594th basket in the last game of this year ... aiming for 2,000 in her Howard Lake School career. It is such a united effort that there is no way to identify which of the staff should have the most thanks for another heartwarming, touching, and yet with a sprinkle of humor to spur us on with life as was Bulletin #308. Dorothy, our editor, keeps everything on a level that we all can enter into every item, no matter who or how old we are, then Jerrianne, the photo editor, with her expertise and artistic professionalism presents each separate article with color and balance, blending detailed illustrations from births to forever farewells, and Bitzi, our illustrator makes The Bulletin photos stand out with the color and clever captions and individualized designs on certain photos for whatever emotion is suggested. How fortunate we are that our subscribers and families live such full and interesting lives that we look forward with great anticipation to our next Bulletin. So, the united effort is what has made The Bulletin the success it is from 2002, and we extend our sincere thank you to each and every one for their part. Mother's Day. A meaningful day. Some very happy, very first Mother's Day, and some extremely saddened having so recently lost their moms. A mother is the heart of the home, and that expression says it all. Lovely picture of the lilacs. Our lilacs are just past the budding leaf stage here in Minneapolis. What a sweet, precious picture of Darlene Veldkamp. It catches her sparkle and happy enthusiasm for her family and life. She will be so desperately missed. Anita Weiland's brand new granddaughter is my brand new great niece. Gert Pettit has been, and will be, having some great travel experiences. One nice thing about that is that she shares it with us via The Bulletin. Of course, I am interested in that pretty and popular Gertie Dake that I remember from the good old days. To see her now with her caring family is always special. Seems to me there would be lots of help to mow that lawn, Gert! Elaine, thank you for the Update from you. I looked at the link to "Dragon Wings" and found it was a begonia. It is beautiful and colorful. 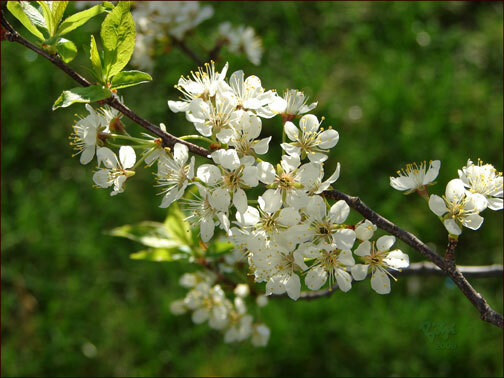 It commented that you had to sweep away fallen blossoms, there were so many, so it should be pretty. I'm glad you still feel well enough for pots on the deck, being you enjoy flowers. You would be lost without pretty plants to look out at. Mango, the parrot, looks like it has claws ready to sink into that wrist. The link to that Update shows a picture exactly like the one in The Bulletin. Strange that someone wouldn't claim that exotic looking lost bird. I listened to the video link and it was amazing that you could understand every word Mango sang. I was happy to have the pictures of Don and Dorothy and Rich and Marlene and family. That printed Bulletin will be a "keeper," as well as in the archives. Beaver's mailbox story was another winner! He writes so one is totally absorbed in the setting and expressions, and it always ends too soon. I think I remember seeing that oak post, but maybe I'm just imagining that. I remember the Box 96 Ashby, MN address so well, and am glad it still belongs to the Johnsons. LTD Storybrooke, this story of "The Skylight" was such a vivid illustration that I could see the homesteaders sitting there at the table. Checker is one special dog, and I know there will be more to his story as time goes on. You always leave us hanging, Larry. The "Listen--" she said came on the end of a printed page of my Bulletin copy, and I quickly turned the page for the rest of the story ... and, as usual, it ended right there. So, now I have to wait seven more days (this is Sunday) to know what they heard. I was so hoping there would be yet another chapter for us of the Appalachian Trail trek, and there it was: Week Seven. We got to see a close-up of that famous 10-year-old walker, thru-hiker, and I think she must look like her mother. One comment in the link to the Laurel Fork Gorge said it was a "very enjoyable stroll." I thought it looked like a grueling, exhausting hike, but it must have been very scenic. I love unique, "different" flower arrangements, and the "get well" flowers for Ary were just that. So sorry he had been that sick; it seems so many have had it. The picture of Oreo and Tabasco looked professionally photographed, but then I remembered that Kyra and Ken are gifted along that line, and have had college work in it. I take your greetings, too, even if you didn't list step moms, specifically. 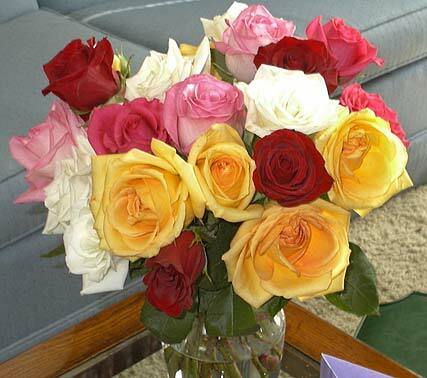 My Mother's Day was made very special by 18 various colored long-stemmed roses from Darrel and Johanna in Virginia, also a lovely table arrangement from Rodger and Claudia in Minnesota. Roy's sons kindly remembered me as "Mother." 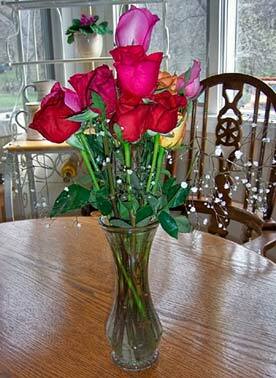 Mother's Day roses from Darrel & Johanna Droel. The Quotation for the day sounded like so many mothers I've known. A mother is even more dear after she isn't there anymore to love and care and share. Thank you again for our Bulletin #308. 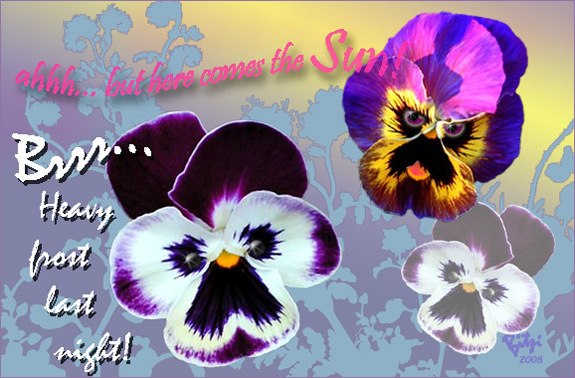 Shivering "joker" pansies ... waiting for spring sun.